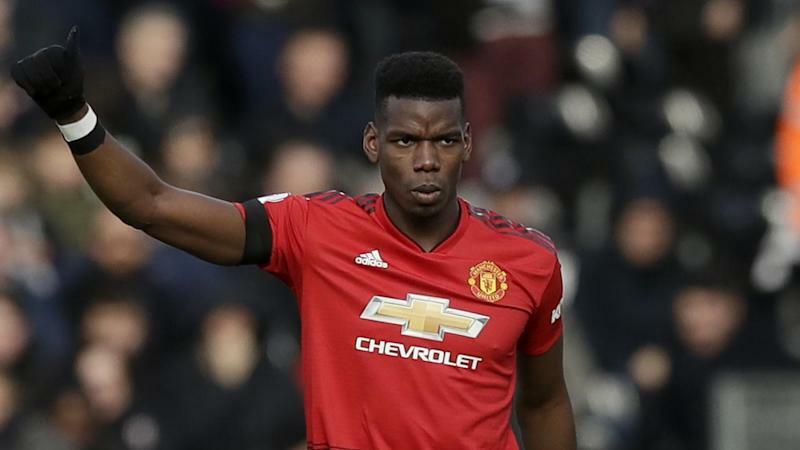 Manchester United's stunning return to form under interim coach Ole Gunnar Solskjaer will receive its toughest test yet when they host Paris Saint-Germain in a Champions League last 16 first leg on Tuesday. Holders Real Madrid, who also boast a coach with something to prove in Santiago Solari, meanwhile visit Ajax Amsterdam on Wednesday on the back of beating city rivals Atletico Madrid 3-1 away to jump into second in Spain's La Liga. Borussia Dortmund visit Tottenham Hotspur the same night to kick off a slew of German Bundesliga sides facing Premier League opposition - with the first legs of Liverpool against Bayern Munich and Schalke against Manchester City coming next week. Italian Serie A side Roma hosting Portuguese Primeira Liga champions Porto on Tuesday is the other last 16 game this week but most eyes will be fixed on Old Trafford when United's run of 10 wins in 11 games since Solskjaer replaced the sacked Jose Mourinho will be given a stern examination by French champions PSG. United's hopes are boosted by Neymar being out injured while fellow PSG striker Edinson Cavani is a doubt after hurting his hip in Saturday's 1-0 victory over Bordeaux, where he netted a penalty. Forward Alexis Sanchez said United should be confident of going further in the competition. "United is a club with so much history and is capable of beating any rival," the Sunday Mirror reported him as saying. "If we win at Old Trafford and we don't concede, then I think we would be favourites for the second leg. I think we can do that and I see this United team with a lot of chances to score in Paris." Solskjaer only has the job until the end of the season although media reports on Monday said the board had decided to appoint him full-time but would not announce it until May. Real's Solari is the permanent boss but rumours have long persisted that he is only keeping the seat warm for someone else. He did his chances a lot of good with the weekend win over Atletico Madrid and the champions will be favourites for the first leg in the Netherlands - especially because Barcelona-bound midfielder Frenkie De Jong reportedly faces a race to be fit for Ajax. The Argentinian coach's biggest selection dilemma will be picking between Gareth Bale and Vinicius Junior. Captain Sergio Ramos goes into the Ajax game knowing a booking would rule him out of the second leg. Tottenham against Dortmund at Wembley will be the first battle between England and Germany. Spurs will be without forwards Harry Kane and Dele Alli but manager Mauricio Pochettino is more concerned about his side's lack of preparation time. The 3-1 win over Leicester on Sunday came 24 hours after Dortmund's 3-3 draw with Hoffenheim, when the Bundesliga leaders let a three-goal lead slip. "We are the only club who is going to compete in the middle of the week in the Champions League (and had to) play on Sunday," he said. "We have one day less than (Dortmund). It's a massive disadvantage. That upset me a lot."